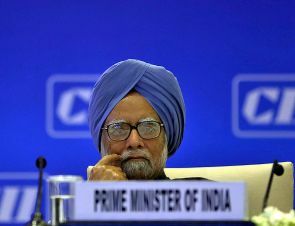 Prime Minister Manmohan Singh Tuesday announced Rs 710 crore for land acquisition for expansion and upgradation of rural roads network in Jammu and Kashmir. Singh made the announcement after a meeting with the Council of Ministers of Jammu and Kashmir during which he reviewed the progress of various development projects, especially the Prime Minister's Reconstruction Programme. "The prime minister has announced that an additional Rs 710 crore will be granted to the state for acquisition of land under Pradhan Mantri Gram Sadak Yojana for expansion and upgradation of rural road network," an official statement said. Reports had it that Governor N N Vohra had expressed concern over poor implementation of the rural roads scheme in the state. A senior official from the Rural Development Ministry had reviewed the implementation of PMGSY earlier this month.